The aim of this work was to evaluate the performance of a homogeneous state-run network of museums. Nonparametric models are used to measure relative efficiency in these institutions, and we employ a complex production function embracing a number of inputs and outputs adapted to the various functions which museums fulfil: preservation, research, communication, and exhibition. Our approach considers that managers drive certain outputs, but that others escape their control since they are co-produced by visitors and determined by demand conditions and external factors. Based on this, a network two-stage data envelopment analysis approach is applied to evaluate museums’ overall performance and to distinguish between efficiency in two stages: internal management and external outcomes. The low levels of performance and gaps in the scores from the first to the second stage suggest there are external factors that might determine museum performance. We therefore apply truncated regression models to analyse how and how much certain environmental variables might shape levels of museum efficiency. In this case, we consider indicators such as accessibility, tourism capacity, cultural appeal, museum age and the institutional management model. The application is performed on a sample taken from a Spanish state-run network of museums. Results show that, in general, good levels of efficiency in terms of management do not guarantee success when attracting visitors, and there seems to be a trade-off between the two goals. Variables such as tourism capacity and heritage endowments in the surrounding area, as well as the museum’s management model, may determine museums’ efficiency levels. 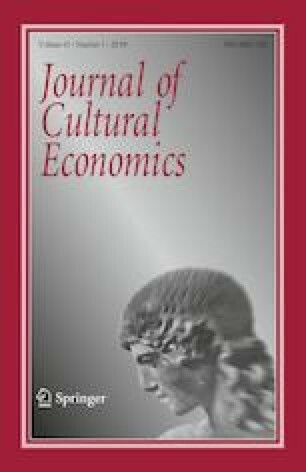 The research findings may prove useful for running these cultural institutions and for those responsible for public resource allocation in cultural policies as well as for scholars, who may find a fresh approach for modelling museum efficiency and for discussing drivers of museum management success.